So, you can almost smell the new school year and you have a total of 0 outfits planned. Great! We all know that picking outfits for school can be pretty tough, you want style and comfort - mission impossible? We think not. Here at UNiDAYS® we love eyeing up the hottest celeb style, and your luck is in as Missguided are really nailing it with their pieces this summer! So you just sit back, relax and let us sort your back to school wardrobe. When it comes to fashion, Selena Gomez is one of our biggest icons; we love the simplicity of her outfits. 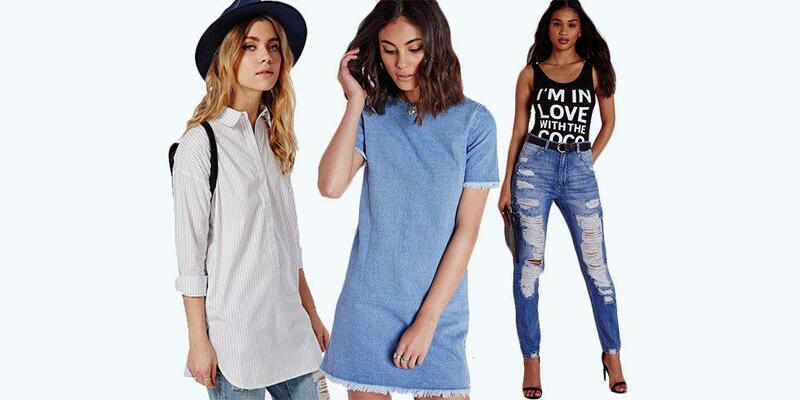 Whilst having a browse through her Instagram we spotted this gorgeous denim dress. Dream-worthy, huh? Missguided have a very similar piece to this, with the only difference being that the edges are frayed! This dress can be teamed with flats, sneakers or even knee-high boots like Selena. It’s completely up to you, it has versatility down to a T.
Ripped jeans are absolutely perfect for school as they’re so comfortable yet practical. You can move from class to class without any drama and still look a million dollars! We think that these Missguided jeans are an amazing dupe of Kylie’s as the style of the rips are almost identical and the distressed look is there too. These jeans are great for those girls who love to keep it simple, as all you need to finish the look is a simple cropped tee and you’re done. Amaze. A white shirt is an essential in every school-goers wardrobe. 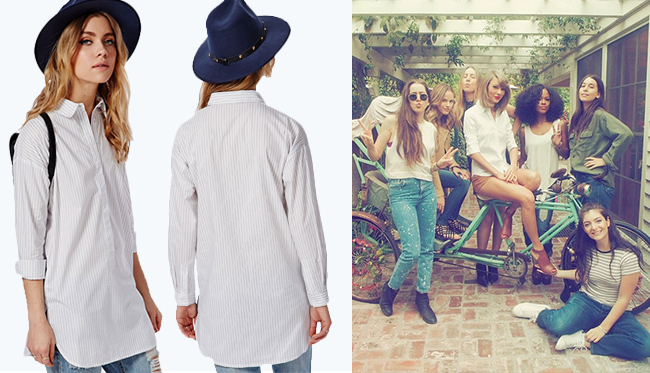 We thought that Taylor looked super cute in her shirt - it’s one of those pieces that just looks gorgeous with anything! We found this beautiful longline white shirt on the Missguided website and we just fell in love; it’s oversized so it is seriously comfy, it has pinstripes which give it an edge and it literally needs no styling. If Taylor has one, you need one!